Today is One Boston Day. Today we remember. Today we celebrate the strength and generosity of the people of Boston. Today we give back. For more information about One Boston Day and ways to participate, please head here. 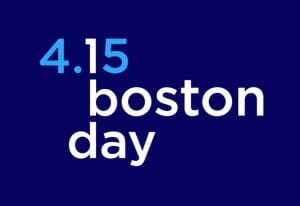 There are a lot of ways you can make a difference today on One Boston Day. There are so many great events and small acts of kindness today from blood drives, free hugs, donations, and much more. The Museum of Science Butterfly Garden and The Sports Museum at TD Garden will have free admission all day as well as the MFA after 4pm today. How are you spending #OneBostonDay?